14469 Work on your laptop in comfort and style, anywhere you please! 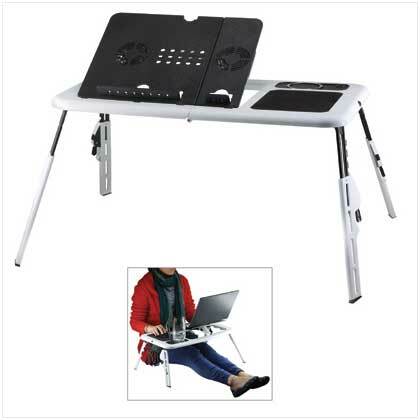 Lightweight folding table securely supports your portable computer, with cooling fans, mouse pad, drink holder and pen holder built right in. A must-have for any power user! Features: adjustable legs and laptop resting pad to give you the perfect working angle; extendable USB chord for easy storage and extends up to 11 1/2"; easy to set up; foldable for easy storage; and adjusts to fit almost any position for extra comfort. Weight 3.6 lbs. Plastic. 22" x 12" x 12 1/4" high; 11 1/4" x 12 1/2" x 1 1/2" high when folded. 15244 Whether you’re on the move for a wild weekend abroad or a summertime safari, this four-piece luggage set will let you arrive in style with all your necessities. The set includes three rolling suitcases with retractable handles in varying sizes and a duffle with padded shoulder strap and carrying handles. 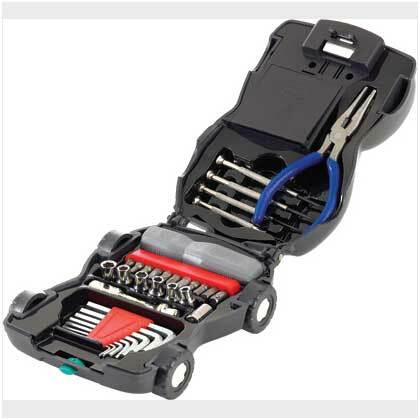 38364 A dandy little tool set that's chock-full of fun, and jam-packed with an assortment of handy helpers! Car-shaped container features working wheels and a flashlight "headlight"; nestled inside are pliers, sockets, Allen wrenches and screwdrivers. 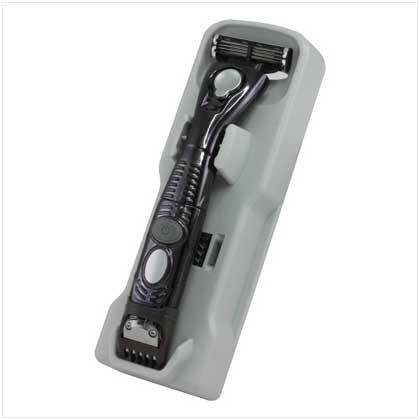 Stash a kit in your car to handle on-the-road emergencies!Plastic case; metal and plastic tools. Uses four AA batteries (not included). 7 3/4" x 5 1/4" x 4" high.